The European Parliament implored Facebook CEO Mark Zuckerberg to speak before a joint hearing of four committees, a day after the 33-year old billionaire finished hours of grueling testimony before the United States Congress. 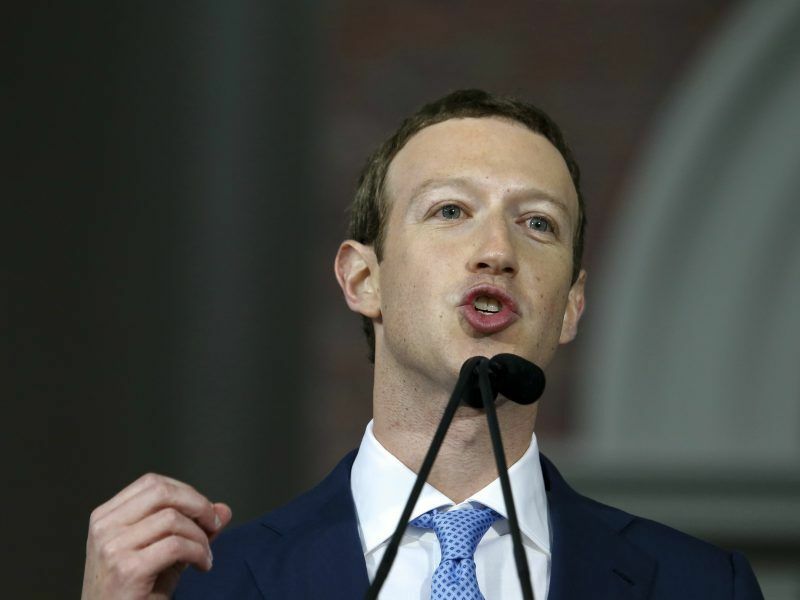 Leaders from the parliament’s political groups decided on Thursday (12 April) to double down on an earlier request for Zuckerberg to appear before MEPs. Their decision on Thursday specified that the hearing would be before four powerful committees. Zuckerberg faced more than ten hours of testimony before the United States Congress on Tuesday and Wednesday over a massive data harvesting scandal that has caused uproar in the US and Europe. Parliament President Antonio Tajani invited Zuckerberg to speak in the house on 19 March, after news broke that millions of Facebook users’ data was analysed for British company Cambridge Analytica’s political campaign work without their knowledge. Political leaders in the parliament “politely declined” Facebook’s offer to send Joel D. Kaplan, the company’s vice-president of global public policy, to speak instead of Zuckerberg at next week’s plenary session in Strasbourg. “The conference of presidents is not interested, they want the founder of Facebook,” Tajani’s spokesman Carlo Corazza said. Corazza met with Facebook’s Brussels-based staff after the parliament leaders agreed to send a second invitation to Zuckerberg. A Facebook spokeswoman did not immediately respond to a request for comment. The parliament’s new invitation will not specify a date or general timeframe when the hearing with Zuckerberg should take place. “We have to see if Zuckerberg is available,” Corazza said. The Facebook CEO would be grilled by MEPs from the Civil Liberties (LIBE), Legal Affairs (JURI), Constitutional Affairs (AFCO) and Industry (ITRE) Committees, with the LIBE Committee in charge of the hearing. British Socialist MEP Claude Moraes, the chair of the LIBE Committee, told EURACTIV the committee has “kept a track of failings at Facebook” since it started a special inquiry into the US National Security Agency’s (NSA) surveillance activities in 2013. “We will use this opportunity to gain assurances that Facebook will commit to comply with European data protection standards,” Moraes said. If Zuckerberg attends the joint committee hearing, Moraes said he will face MEPs’ questions on Facebook’s plans to comply with the draft EU ePrivacy regulation, another data protection bill, as well as the platform’s “response to the prevalence of hate speech online”. Questions will also focus on safeguards from the US consumer and competition regulator, the Federal Trade Commission, which is investigating Facebook’s role in the Cambridge Analytica scandal. Moraes has also asked directors from Facebook’s Brussels office to testify about the data scandal at a separate hearing. The company has not yet responded to his invitation. The parliament does not have the legal power to compel Zuckerberg to attend a committee hearing or plenary session of the full 751-member house. 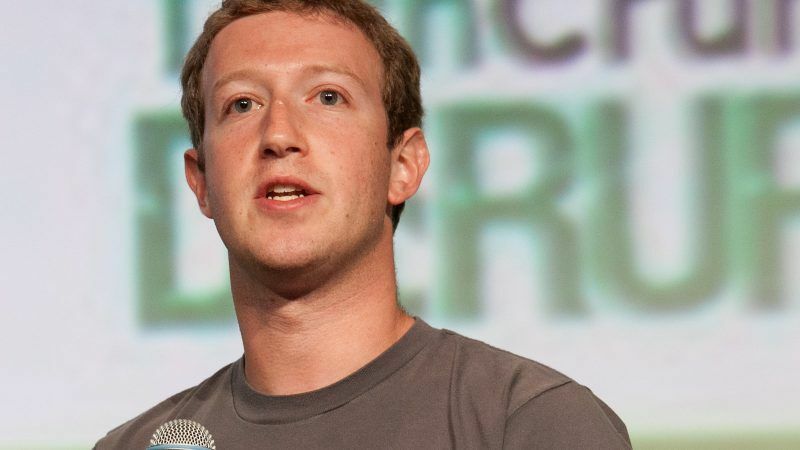 However, minutes from Thursday’s meeting between political leaders described Zuckerberg’s attendance as “crucial”. The lead MEPs gave four reasons for insisting on the Facebook CEO’s appearance: they cited the millions of Europeans’ Facebook data that was collected by Cambridge Analytica; Facebook’s European headquarters in Ireland, “thus falling under European law”; “the possible influence of Cambridge Analytica on the Brexit vote”; and the strict new EU data protection regulation that will go into effect on 25 May. Facebook admitted last week that Cambridge Analytica had collected data from 2.7 million EU-based users. Personal data from around 2.7 million Facebook users in the EU was shared with analytics firm Cambridge Analytica, the European Commission announced on Friday (6 April). Cambridge Analytica whistleblower Chris Wylie testified in the UK Parliament last month that the firm worked for the Leave campaign in the 2016 Brexit referendum, and for Donald Trump’s US presidential campaign. During his testimony before US lawmakers this week, Zuckerberg repeatedly apologised for Facebook’s role in the incident. He also said that Europeans “get things right” in response to a senator’s question about the EU data protection regulation, known as the GDPR. Vera Jourova, the EU justice Commissioner, told reporters on Wednesday that Zuckerberg still needs to face questions from Europeans in addition to his testimony in Washington. The justice chief said Zuckerberg’s praise for the GDPR helps to promote the law before it goes into effect. “Thank you, Mr Zuckerberg,” she joked. Jourova spoke to Facebook chief operating officer Sheryl Sandberg on Thursday evening. 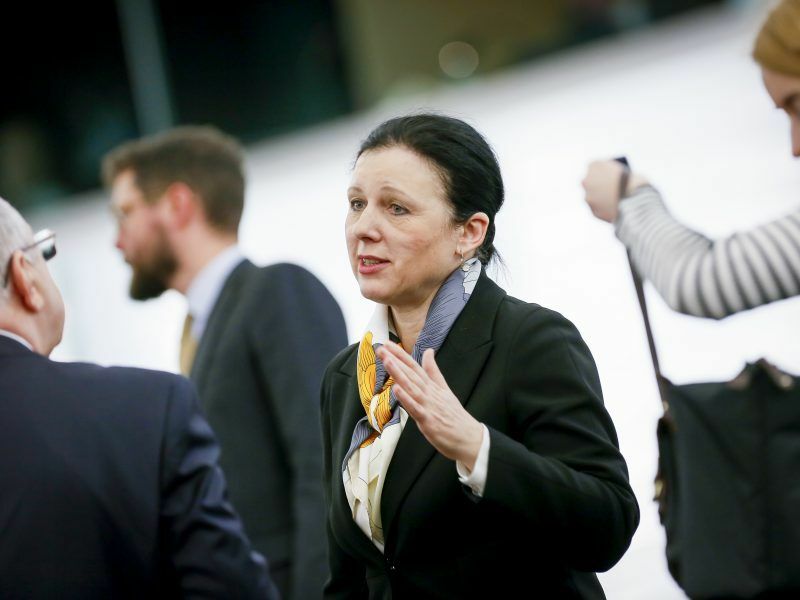 After their phone call, Jourova said in a statement that she told Sandberg that Zuckerberg should agree to speak in the European Parliament. 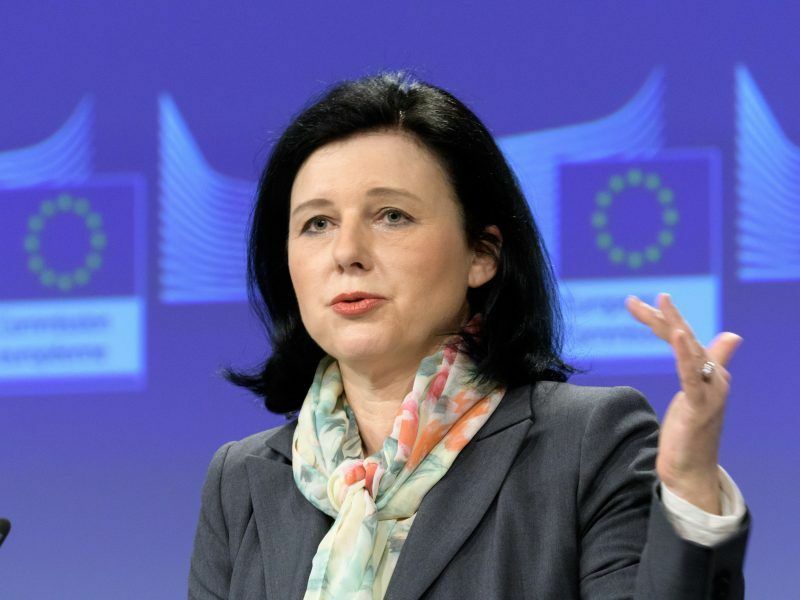 The EU Commissioner called the data incident “a wakeup call”. “Social media have a great power; I want them to also bear great responsibility,” she said. Zuckerberg also declined an invitation to appear before the UK Parliament’s digital and culture committee. Instead, Mike Schroepfer, Facebook’s chief technology officer, will testify to MPs on 26 April. The committee also sent a second request in late March asking Zuckerberg to personally attend a meeting. Separately from the UK parliament hearings, the British data protection authority, ICO, is also investigating Facebook and Cambridge Analytica’s role in the data harvesting case. ICO has the power to impose fines on the companies if it finds they broke privacy laws. “The EP implored” says it all really – & illustrates the toothlessness of this institution. Let me help: the clue in Suckerberg’s lack of interest lies in the phrase: “33-year old billionaire”. If I was a 33 year old billionaire I can think of plenty of places to be (yacht, sun, sea etc) than sitting in-front of some political nonentities. If the EU wants to get Suckerberg’s attention (the change of letters, Z to S is intentional – his name thus more accurately reflecting the nature of the people that use Facebook – suckers) there is a simple something they could do: use DG Compo to to force Facebook to open up to 3rd party Facebooks. Well “force” is too strong a word – allow Facebook look-alikes and if there was reluctance on the part of Suckerberg to interface – well it’s funny how services can get disrupted. The above would not be so difficult & it would get attention. Certainly more than the EP’s “pretty please” – which is, frankly pretty pathetic. That said, in certain (security) quarters there is great love for Facebook. NSA, GCHQ, etc just love it – they have an ever expanding database on citizens – which is most useful and the nice thing about Facebook – they only need to go to one place to get what they want. So when you hear about how hard it would be to introduce competition to Facebook or for Facebook to open its walled-garden – keep in mind who is saying it – & why.